Are you worried that your swimmer is behind because she got a late start in the sport, or because she didn’t start swimming year round until she was past her 10th birthday? 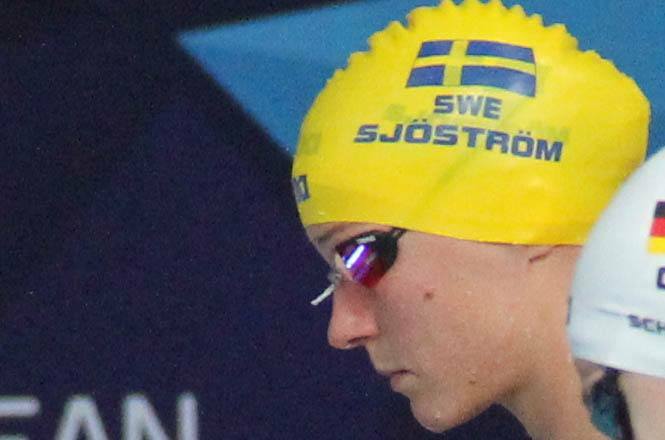 Look no further for your hope than Swedish swimmer Sarah Sjostrom, who didn’t play any sports until she was 10 years old. By 15, she was a World Champion, which shows that success in this sport can be sudden and unpredictable. Sarah, who already has 3 Olympic Games under her belt at 25 years old, thinks she can make 3 more. She will turn 35 within 2 weeks of the 2028 Olympics, but has a role model in longevity from her own country: Therese Alshammar, who raced at 6 Olympic Games. That includes 2016 in Rio, where she was Sweden’s flag bearer at 39-years old. Sarah recognizes that she sometimes gets angry after a race that she’s not happy with, but moves on very quickly – mirroring a quality frequently cited among the world’s greatest athletes. Sjostrom is a 3-time Olympic medalist, winning the 100 fly in Rio, placing 2nd in the 200 free, and taking 3rd in the 100 free. She’s also a 10-time World Champion (7 in long course, 3 in short course), winning her first World Championship in the 100 fly in 2009 when she was only 15-years old. Yes, it is possible not to love her. For example, when she jumps on lane ropes and acts conceited after some of her victories in Sun Yang fashion. Not crazy about her big arm tattoo. She has a little bit of a “look at me, look at me” element about her, confirmed by even doing this Michael Andrew interview, and it is somewhat arrogant of her to assume quite casually that she will be able to swim in another three or four Olympics. Unnecessarily harsh. She’s worked hard . Allowed to celebrate. I wish Michael Andrew would have asked Sarah Sjostrom her thoughts on the recent partial suspension of Sweden’s anti-doping lab in Stockholm and the blind eye Sweden has been accused of turning to the use of prohibited substances by certain Swedish athletes. Yes, perhaps Sarah Sjostrom would not know about the Swedish laboratory science and deficiencies, but it would be interesting to hear her views on why there is such a high use of asthma medication containing terbutaline among Swedish athletes (presumably with TUEs). Apparently, Swedish national TV (SVT) has reported that Swedish Olympic skiers allegedly have “asthma” at a rate six times higher than the general population and that nearly half of Sweden’s Olympic medals since 1992 have been awarded to athletes with “asthma.” So it is a relevant question to put to one of Sweden’s most prominent Olympic athletes. Melbourne – most of the world’s countries can espouse similar statistics, so if every interview with every swimmer in the world is just going to be “grill them on how much they know about doping,” it’s probably going to get very tired very quickly. I believe us swimmers have the highest rate of “Asthma” out of any population. I don’t know a single US swimmer who doesn’t use a salbutamol inhaler. Maybe Sarah should have also questioned MA on why US doesn’t test their athletes nearly as much as Nordic nations do? That’s fine if she has actual data or information to support the question, I am not American, but even if your quite dubious “beliefs” and statements were correct, does that make it right for athletes (from any and all nations) without asthma to be given asthma diagnoses and a TUE pass to use otherwise banned medication? Yep. started in 1976 and two years later wins two gold medals and one silver at the world championships! With all of the complaining about his announcing skills, no one can complain about his being a gifted and talented swimmer.